A lack of transparency surrounds the process which Guyana’s former President, Bharrat Jagdeo used to issue a number of radio broadcast licenses just prior to demitting office. 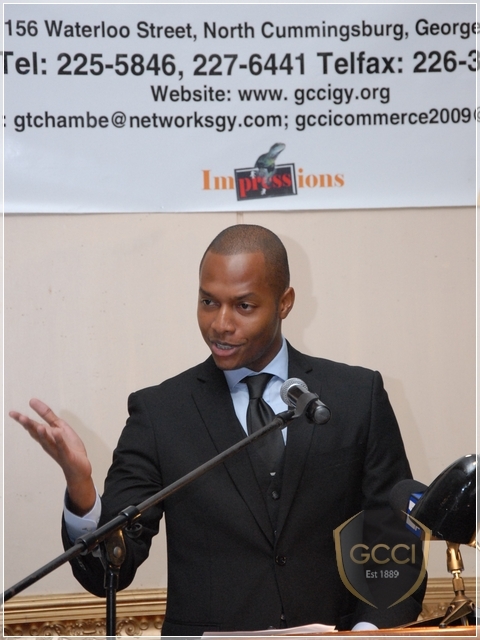 This is the view of President of the Georgetown Chamber of Commerce and Industry (GCCI), Clinton Urling, who said that while he is unable to explain the rationale behind the method Mr. Jagdeo chose to use, it is clear that the process was not transparent. “We don’t know the procedure that was established and we don’t know the criteria that were established to determine why some people were granted licenses while others were not. I am in the food industry and if I get up tomorrow morning and hear President Ramotar announced that government has a 100,000 food contracts every week, and five companies were selected, but my company – German’s, was excluded, but we don’t even know what was the procedure, then that’s a cause for concern” he told BIZNOW. In the case of radio broadcast licenses, Urling said that there were other broadcasters who sent in applications and who have been in the industry for years but were not granted a license. “The broadcast authority was established for that; to ensure that a rigorous process is employed. So if I want to get a license I would have to go through the process. But in this case, nobody knows what the process was. The President just selected without giving any explanation as to what was the process involved,” he said. The GCCI President said that at the end of the day it must be ensured that the issuing of licenses and granting of contracts are done on a leveled and fair playing field where everybody feels that they have an equal opportunity. Chairman of the Governmental Committee of the PSC, Captain Gerry Gouveia, told BIZNOW during a recent interview that while he may not agree with the process that was used, Mr. Jagdeo, as President and Minister of Information, acted within the confines of the law and did nothing illegal. “I would have wished that he would have waited until the broadcast authority got going. But the point is my wish and what he had the right to do can differ. He did nothing wrong, he did nothing illegal. The only thing we, I believe need to do is ensure that everybody who possess a broadcast license operates in a legal manner with the proper competence. For me what is very important is that we have broken the monopoly,” Gouviea, who also sits on the Guyana National Broadcast Authority board, said. Commenting on the call by some stakeholders for President Donald Ramotar to rescind the licenses granted by his predecessor, Chairman of the Trade, Intelligence and Investment Committee of the PSC, Ramesh Doohkoo said that the competent authority to do so is the broadcast authority. He pointed out that to call on the Head-of-State to unilaterally do so would be introducing an element of dictatorship. This he said should not be the preferred method used for addressing the situation.